Curious to learn more about your dentist in Honolulu HI? You have come to the right place! Dr. Bogdan C. Rosala is committed to providing excellence in dentistry and stands out as a leading dentist in Honolulu, HI. The doctor uses the latest in dentistry techniques to provide you with a beautiful and healthy smile. Not only that, but Dr. Bogdan C. Rosala believes strongly in education to prevent oral health problems before they occur, and makes sure to keep patients fully informed about their dental health. 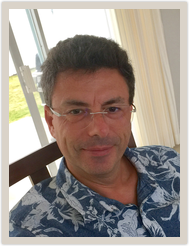 Read more about Honolulu dentist Dr. Bogdan C. Rosala below and make sure to give us a call today. Dr. Rosala graduated in 1989 from the Johann-Wolfgang-Goethe University Frankfurt in Germany. After being an associate with Professor Dr. Klaus P. Gross in Frankfurt for 2 years, he continued practicing Dentistry in his own office for the next 15 years. His pursuit of excellence and unrelenting interest in Dental Arts made him start early in his career with Implant Dentistry, Laser Dentistry, CAD/CAM (Computer-Aided Design and Computer-Aided Manufacturing) Same Day Dentistry, and Comprehensive Cosmetic Dentistry. Dr. Rosala performed his first Implant Surgery in 1991 and purchased the first Dental Laser just a few years after opening his office in Germany in 1992. Besides passionately practicing Dentistry, Dr. Rosala completed his Doctorate in Dentistry in 1992 and earned furthermore a Diploma in Naturopathic Medicine as well as a Diploma in Acupuncture with the German Academy for Acupuncture and Auriculomedicine. After visiting and falling in love with the beautiful Islands of Hawaii, he passed the American National Boards I /II in 1999 and the Dental License Examination for the State of Hawaii in 2001. Dr. Rosala feels blessed to have had the opportunity and chance to move to Hawaii with his family in 2008 and is thankfully serving the community in Honolulu and Kailua since then. Dr. Rosala was voted by his peers as one of the Best Dentists in Hawaii as published in Honolulu Magazine and is listed in America's Top Dentists.